The Benefits of wrap around case packers are both in their vertical strength and their material costs. The four glue seams add material to the case walls. This has allowed bottle fillers to remove partitions. 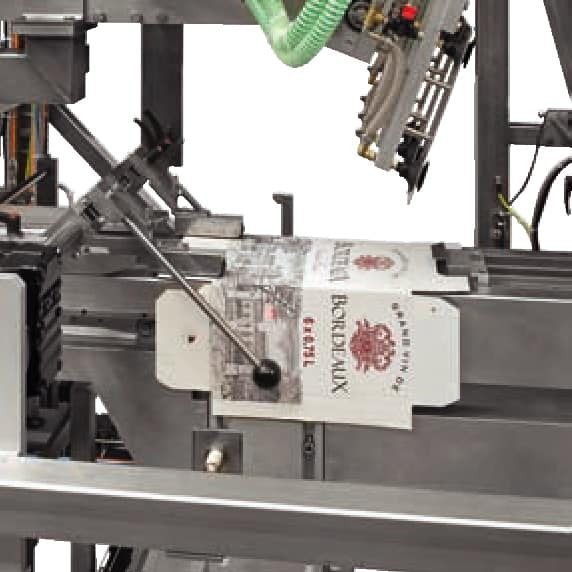 In other bottle case packer applications the SFS 350 case erector has been able to erect 60 cases per minute. Central palletising systems use a single Gantry Palletiser to pick products arriving from multiple manufacturing lines simultaneously. 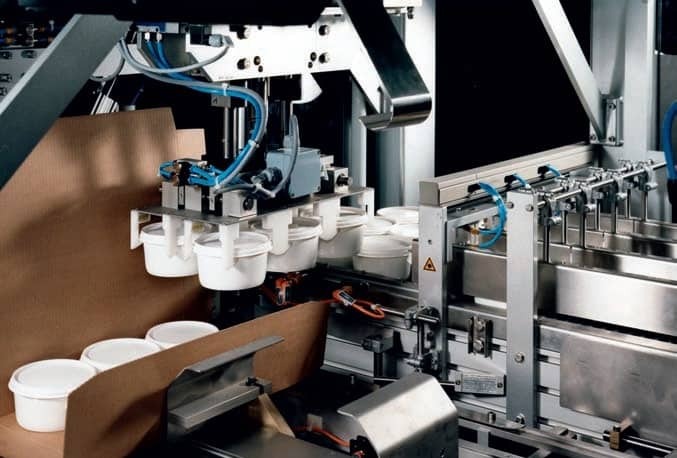 This allows you to automate case palletising on high and low throughput lines. 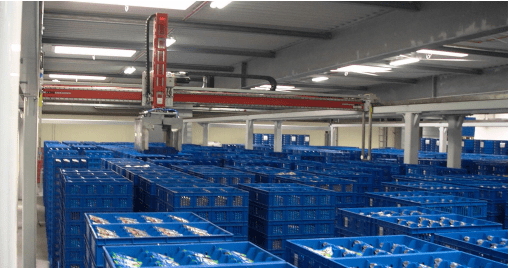 The Palletisers supplied by Raupack can be configured to automate pallet handling where pallets are fed into the system from single in and out-feed positions. Raupack supplied Gantry Palletisers are particularly suited to applications where a wide range of SKUs and product sizes need to be palletised especially where products are mixed and change-overs are frequent. 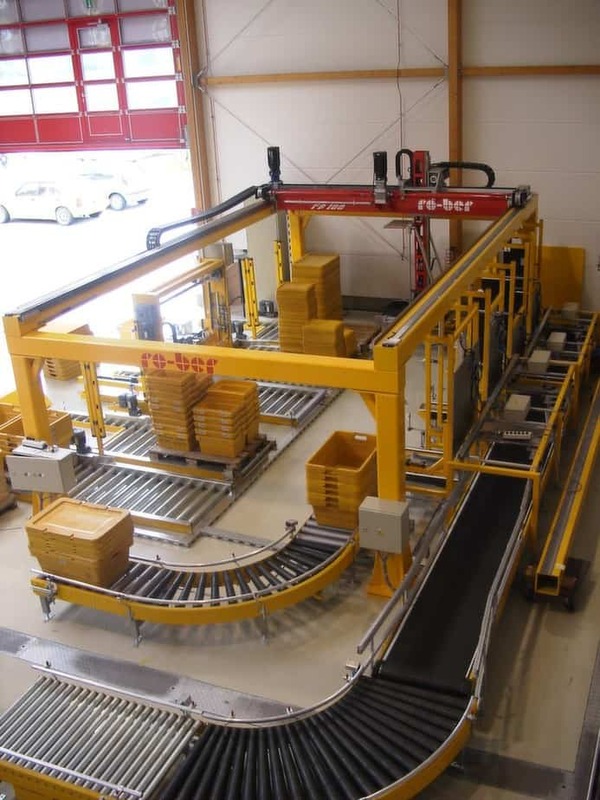 Whether with a mechanical gripper or using a vacuum gripper, the Gantry Palletiser can palletise a wide range of products from cartons, cases, totes, bags, sacks to industrial products such as doors, window frames and tyres. 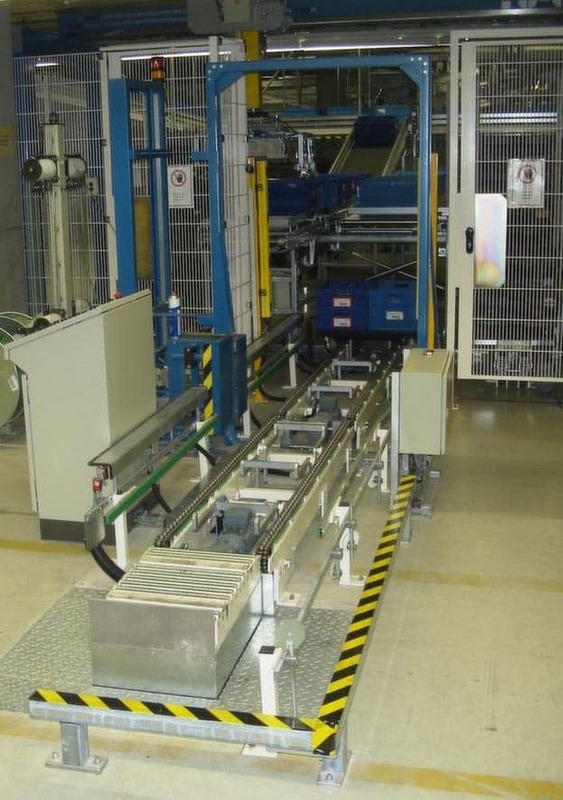 An automated system can palletise to different sized pallets, dollies, cages or crates. 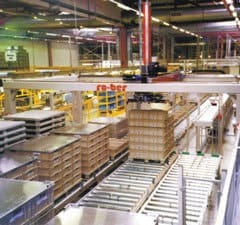 Because of their flexibility Gantry Palletisation systems can handle thousands of products per hour. If your business requires Re-palletising then these tasks are ideally suited to using the Raupack supplied Gantry robot. The working area can be adapted to almost any application in order to maximise throughput, whilst maintaining a compact footprint. 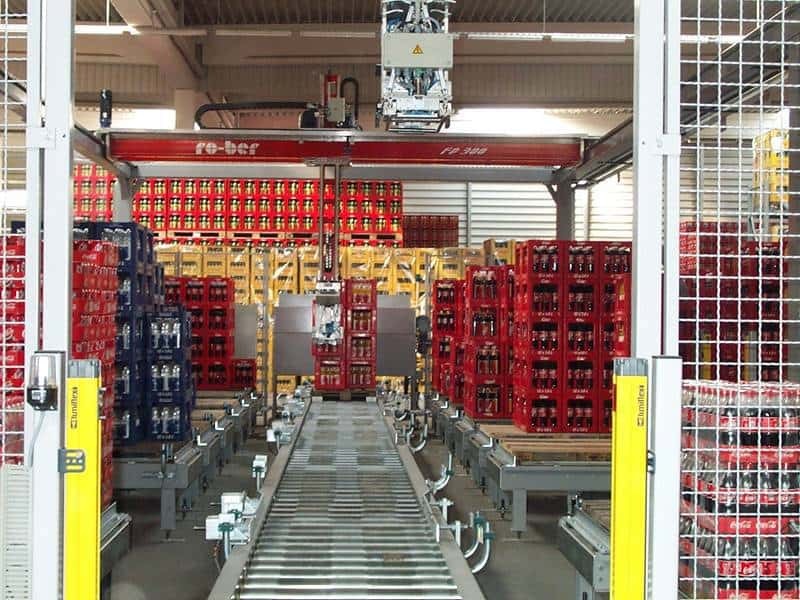 Up to four palletising robots can co-habit the same Gantry frame. The new GIGANT, wide and high payload robots, are suited to warehouse material flow, logistics and buffering operations. 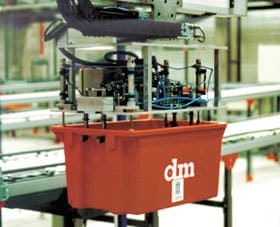 These robots can both store and retrieve products such as totes or baskets where they offer a simpler approach than racking. The creation of mixed pallets for order picking is also a task in which the Gantry Palletiser excels. 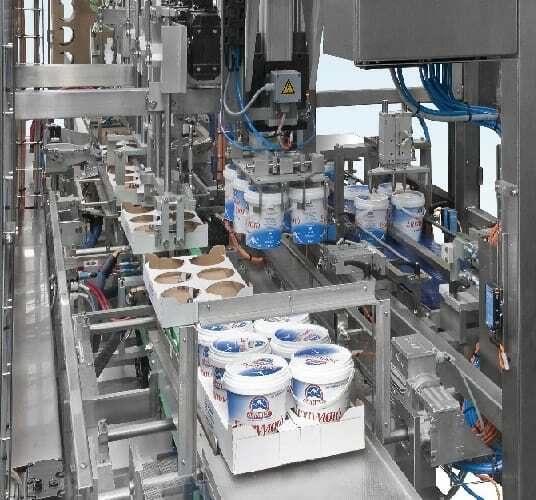 Using Ro-Mix software, pallets are mixed to order and could contain products which are de-palletised and palletised in a single step or more complex multi-robot systems. Gantry robot picking over 200 SKUs with one head with camera recognision of the incoming prodcuts. Opitz range of box erecting and case closing machines apply recyclable gummed paper tape instead of self adhesive tape. Their volume reducing box closers offer dispatch operations a faster and more sustainable return on investment . They eliminate plastic from the package. Raupack has recently taken on the Agency for Opitz Maschinentechnik who in 2016 won an innovation award for their Volume Reducing Case Sealer, the Vario 558﻿. This volume reducing case sealing machine will close cases of differing footprint and heights on the fly.